Below are testimonials from P-40 customers. The board arrived , after travelling thousands of miles, in perfect condition. This is a backgammon board of the twenty first century. It is innovative, imaginative and most of all impressive. The customer service is without doubt immaculate. ......ordering a P-40 is an imperative. There is a lot to like about the P40. It is durable and looks great. I like the checker feel, not too slippery like some flat checkers, and the metal rings are a wow factor. The board is easy to play on, and keeping the precision dice inside the doubling cube is a very nice touch. A really nice board at a reasonable price! In 1959 the Nikon F was introduced to the world and was heralded as the most complete camera system ever produced for 35mm photography. The system provided a solid camera body with numerous adaptive components including interchangeable lenses, viewfinders, pentaprisms, and camera backs. It revolutionized 35mm photography and significantly disrupted the German foothold on high end photography. The P-40 backgammon board parallels the Nikon F with its modular design and long list of customizable features. Whether it will it do for backgammon what the Nikon F did for photography remains to be seen. But it is clear that the P-40 is a serious product that will in all likelihood will be embraced by backgammon professionals and novices alike. Physical Characteristics: The P-40 is a professional sized board. Closed: 22 3/4” x 14” x 2 1/2”. The handle adds 2 7/8”. Open: 28” x 22 3/4” x 1 1/4”. Weight: 13 lbs. including checkers, cups, and cube. Frame: Anodized aluminum rails with optional carbon fiber inserts within the frame. Surface: Synthetic washable non-fading ultra-suede. Points: Proprietary die process allowing complete customization. Checkers: 1 3/4” x 3/8” with anodized aluminum edges (matte black or high gloss vacuum plated in liquid chrome or triple black chrome) with material inlay in choice of 11 colors. Dice: Two pairs of precision dice with choice of size. Cube: Lightweight aluminum coated with one of 3 available matte finishes. Contains an internal dice storage area, accessed with a magnetic sliding door. Cups: Anodized aluminum with a soft flocking on the inside and a smooth Delrin (a blend of plastic and fiberglass) rim and bottom. Board Characteristics: The board is designed to be opened from one side (with the P-40 logo on top). This insures that the doubling cube remains in its custom nest. The single unique polycarbonate board lock secures or unlocks the board with a simple 90º twist… nice. Two beautifully designed hinges embedded in the frame link the two board halves. Unfortunately there is a bit of play when the board is opened. The frame seems to float above the board surfaces. I realize that this is somewhat necessary to allow the board surfaces to easily be changed; however, it’s not clear to me why the tolerances are so loose. At 13 pounds (with checkers, cups, and cube), the board is heavy. Although lugging it around on airlines might be a little more stressing than other boards in this price class, I think the embedded quality and beauty of the board make this a small price to pay.1 The checkers are stored in 3 stacks of 5 checkers each for each player. This simplifies placing checkers in the opening position to 4 movements of 5, 5, 3, and 2 checkers. No big deal but nice functional design. On the down side, the raised edges of the checkers make stacking them somewhat awkward. Taking five checkers out of the board without dropping the stack takes practice. However, the checker and board sizing is perfect. Six checkers line up perfectly below each point with only 3/16” additional spacing within the quadrant. The cleverly designed doubling cube sits in its own nest in the middle of one side of the board. The 1 1/4” x 1 /3/8” interior of the cube is accessed by sliding the “64” lid off the cube. Four pairs of dice (two pairs come with the board) or small doubling cubes (for chouettes) can easily fit in this interior. The P-40 team will shortly be offering chouette cubes specifically made for the board. They will be one inch cubes precision machined to match the larger cube supplied with the board and will come in a set of four, in four different colors. Four micro-magnets hold the lid in place. Doubled cubes can be placed in the cup nest on either side of the board. The dice cups are small and I would recommend that you only use 1/2” dice with these cups. A pair of 9/16” dice will not fit in the cup mouth when placed side by side. Using the optional $50 scrambler will eliminate this problem but if you like to roll dice, use a smaller set. Also, I found the sound of the dice in the cup a little harsh and the small cup leads to a number of false rolls when dice get hung up on the lip. Fortunately, I was able to solve this issue by inserting a 1 1/2” washer (Lowe’s #SC0541) under the lip inside the cup. This creates a much softer sound for those who prefer it and virtually no dice hang ups. Speaking of sound, 2 placing checkers on the narrow metal bar takes a little precision and creates a metal on metal click that I have gotten used to but some may find this a little annoying. These nits are minor when one considers the overall design and performance of the board. Aesthetically, the playing field colors produced by the P-40 die process are quite vivid. The board surface is washable and will not fade according to the P-40 team. This is a pet peeve of mine and there are a number of boards that just don’t hold up over time. When closed, the carbon fiber inserts make this one of the most beautiful boards I have seen. Pricing: The P-40 sells for $825 configured with standard checkers, doubling cube, and two pairs of precision dice. This is a bargain. Comparably sized boards with similar checkers sell for 3, 4, or 5 times the price. This board is not only unique in design and features, it is also a bargain. Summary: I love playing on this board. The checkers glide beautifully on the ultra-suede surface. There is just the right amount of friction to create a wonderfully luxurious feel. The checker weight and 3/8” height just add to the experience. Although there are a few nits, this board is a revolutionary design that I believe will bring many players into the backgammon world. In addition, I love the ability to create a customized board right on the P-40 website (https://p40bg.com). This is nothing short of remarkable. One other thing. The p-40 team has provided excellent customer support throughout the ordering and delivery process including a last minute change that required them to reconfigure my order. I began with a comparison of the P-40 with the Nikon F and must say there is one additional parallel. The Nikon F continued to evolve by adding numerous accessories to allow one to build a customized system. With all the configuration options, and accessories (interchangeable board surfaces, dice scrambler, carrying case, padded handle cover, chouette cubes, and a number of accessories planned for the future), the P-40 follows that model. Congratulations to Rachel Berglund, Phil Simborg, Tom Buckner, Cory Brant, Nick Napier, and the entire P-40 team for providing such a remarkable product. 1 A 2 lb. lighter ultra-lightweight carbon fiber middle core version of the board is now offered for an additional $190.00 and within the year all base boards should be under ten pounds. 2 The P-40 group has addressed this issue and is now offering a fix for current cups to prevent the hang-ups with larger dice. Future cups will have this fix. As long as I can buy them for $900-I'll be honest with you haha!!! Your leaving lots of $ on the table. That's the greatest board in history for the $. Period. Maybe the best board at any price. I did the checkers with different chrome in them for contrast and it worked out better than I expected. What a pleasure to play on. Played 4 hours tonight felt like 30 minutes. I just received my new P-40 board, and it's the most terrific and beautiful board. The pictures don't do it justice. It completely exceeded my expectations with its sleek look and smooth feel. I have had a few premium boards and this one is far superior and for a cheaper price. It simply has everything I need and more. I customized my own board and got to choose the checkers, dice cups, doubling cube, etc. and got great customer service. Their attention to details was unmatched. They attended to everything I needed before it even crossed my mind. I am looking forward to breaking it in and taking it with me to future tournaments. Recently, I played on The P 40 . I was amazed. It has the look and feel of boards costing 2- 5 times as much! Can't wait to get one for myself! The P-40 Limited Edition backgammon board I ordered finally arrived. Yay! WOW! It's absolutely fantastic! The quality is even better than what I was expecting. I own several "expensive" backgammon boards costing in excess of $500, $600, $800, etc., and this board is by FAR the "nicest" of all of them. The packaging was also top-notch. For example, each of the polished aluminum checkers were individually packaged with tissue paper separating each checker. I'm looking forward to many exciting games on this board with my backgammon buddies. Kudos to all those involved in the design and production process. This is probably one of the best backgammon boards one can buy. Price-quality balance is amazing. Absolutely fantastic to play on. I own quite a few high quality boards of all kinds, and all price ranges, but I must admit that this board is probably the best board you can get for the money. Dear Phil, I just got my awesome new P-40 board! It's beautiful! And the P-40 people are super! I've been dealing with Nick who is extremely prompt with his emails. Right now I'm waiting for (with full fore-knowledge) my scrambler and the carry bag. As many backgammon players know, I sell all types of backgammon boards. I am also a consultant for a number of board manufacturers. and online retailers. I have played on virtually every quality board ever made for over 35 years. I just received my P-40 board. You have to see how professional and expensive looking the sleek aluminum case looks. It is a state of the art backgammon board. It has first class craftsmanship with an ultra modern feel to it. As good as it looks from the outside it looks & plays great inside as well. This is the board of the future with its sturdy aluminum case, and stylishly rimmed checkers. It is so different from any other board. The surface offers a great roll, & the cups are quite unique. Despite owning so many quality boards, this will be my go to board. I highly recommend this board. We all owe Phil and Tom Bruckner a thank you for the price. It should be twice the price...at the very least. All the players in our local chouette were wowed by the P-40 in action the other day. Thevboard is even prettier than I recall, especially when we moved from the bright sunshine into the dimmer lighting of a restaurant, where the silvery rims of the checkers caught the light and made positions easy to ‘see’ even in low light. I played on the new P-40 board in Las Vegas and was very pleased with the quality. The checkers are comfortable to play with, and the playing surface was smooth and durable. Compared to other boards with similar quality, this board costs much less. At only $800 I will be buying a P-40 board in my favorite color, purple. The &P-40 is the BMW of backgammon boards. It's precision engineering , elegant design, and handling are superb. I love that it's surface is both washable and interchangeable. It is an amazing board for the price. The best board I've ever seen. Loved playing on it and looking forward to the arrival of my own board. 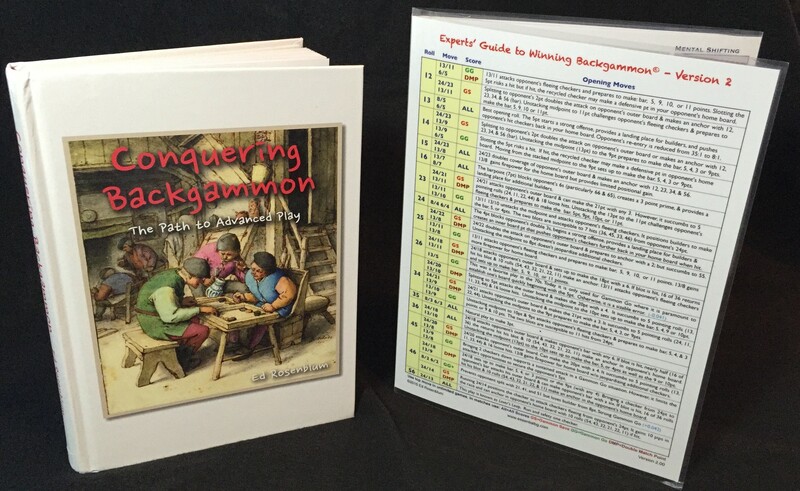 Would make the ultimate gift for any backgammon enthusiast. Shopping for a nice backgammon set? Looking for something you’d be happy to take to a tournament or use in your local chouette? Your search just got a lot easier. It used to be the case that if you wanted to step up from your old cheap bottom-of-the-line set from China, you had three price points to choose among. The first was a set in the $300 to $600 range, usually manufactured in Europe or South America. Nothing flashy, but serviceable. The second was a custom-made set from a good craftsman that would set you back about $1,200. The case would be wood, the inside surface cloth or ultrasuede. You could pick your own colors for the checkers and the playing surface, although your choices might be a little limited. If price was no object, you could go for the third option: a custom-made leather set from one of a handful of European specialty manufacturers. The price would be a hefty $3,500 to $4,500, but you’d have a leather set that was a real work of art and a joy to play on. Now, however, some good old American know-how coupled with the latest in computerized precision manufacturing has given you a fourth choice: the P-40. No, it’s not a vintage World War 2 fighter plane. It’s a gorgeous, totally customizable backgammon set unlike anything you’ve seen before. The cabinet box is a sleek aluminum frame. The playing surface is a washable synthetic that won’t fade over time, with over 32,000 possible colors for the pips and playing surface. The checkers have a rich-looking pebbled surface with either chrome or matte black aluminum rims for an easy grip. The doubling cube matches your chosen color scheme and one side slides back to hold your precision dice. Lipped cups are included, also matching your color scheme. The most amazing feature, however, is the price. At $820, it’s just 2/3 the cost of a custom-made set, and 80% less than one of the expensive European leather sets. Truly an incredible bargain. When the set was unveiled at the 2016 Las Vegas Open, the initial manufacturing run of 100 sets sold out immediately. I ordered my set shortly afterwards and I’m delighted with the incredible quality and the marvelous tactile feel of the checkers. I’ve retired my old custom-made set that I played with for 25 years, and I’ll be happily taking my P-40 to future tournaments.